Scientists belonging to the European Southern Observatory have made an announcement that there are evidences for another exoplanet. According to their research, there’s probably an exoplanet orbiting around the Barnard’s Star. This star is just six light-years away from the Earth. You can check this research out in the journal Nature. Six light-years is obviously not near. It is about 9.5 trillion kms away from the Earth. But, when it is about exoplanets, six light-years is not a big deal. Alpha Centauri, which is a star system just like our Solar system, is about 4.2 light-years away from the Earth. Second closest star is Barnard’s Star. It is a very ancient star and is about twice the age of the Sun. This star is the closest single star to the Sun, and is not a part of any star system. Researchers have discovered a new planet in its orbit and named it as “Barnard’s Star b”. And now, we can say that Barnard’s Star b is the second closest exoplanet to the Earth. This is not done yet. 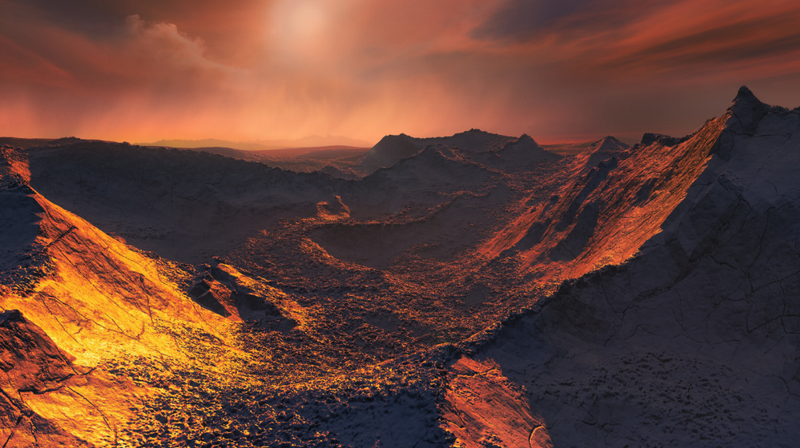 Researchers are also calling Barnard’s Star b as a “super-Earth”. The term super-Earth means a planet having mass higher than Earth’s mass, and lower than a planet like Neptune. Barnard’s Star b is about 3.2 times the size of the Earth, and it revolves around Barnard’s Star every 233 Earth days. Scientists are hundred percent sure about the existence of this planet! Ignasi Ribas, a lead scientist from the researchers, made it clear that they are 99% sure for the existence of the planet. Now, they will focus on observing the movements of this star. Sometimes, variations in the stellar brightness of the star could be mistaken as a planet. So, to avoid this, scientists have decided to become 100% sure by keeping an eye on the movements of this fast-moving star. For decades, scientists have been searching for the planets around the Barnard’s Star. In the 1960s, a Dutch astronomer named Peter van de Kamp, made a statement that there are two Jupiter-like gas planets revolving around the star and not one. He was just seeing “wobbles” from his telescope. Since 1938, he was observing the Barnard’s Star with the hope of discovering planet/s orbiting around it. But, his claims were rejected in the 1970s. May be, wobbles were the result of a telescope that needed proper cleaning. Until his death in 1995, Van de Kamp tried to prove his claims. But, there were many other people who were looking for the possibility of exoplanets around the Bernard’s Star. In the year 2012, a group of scientists agreed with Van de Kamp’s claims. After 25 years of research, they found that orbit of the Barnard’s star contains roughly Earth-sized planets or larger. According to the newest research by the ESO, Van de Kamp’s research may have been right, even if it was a coincidence. For discovering Barnard’s Star b, they used the same “wobble” method with some advancements. The newer method is called “Doppler effect”. When a planet orbits its star, the gravitational pull creates the wobble. This wobble can be seen and measured through a high-powered telescope. Any chances of life on Barnard’s Star b? Now, the biggest question is: are there any chances of life on Barnard’s Star b? According to all the current evidence points from research suggests “no”. It is very disappointing. But still, UB Berkeley’s research in 2012 has some sort of stand. Distance between the newly-discovered planet and the Barnard’s Star is just 0.4 times the distance between the Earth and the Sun. 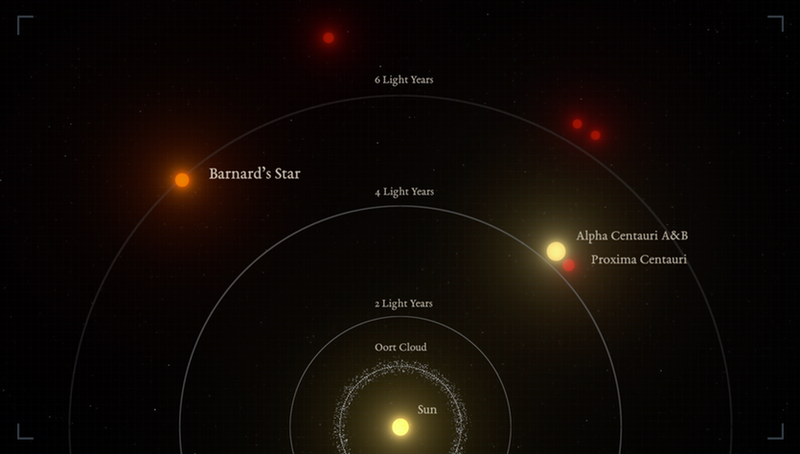 Unfortunately, Barnard’s Star is a dim star. It is able to provide just 2 percent of the energy that the Sun provides to the Earth. Also, the planet is found to be very close to the snow-line. Its surface temperature always stays around -170 ℃, and such temperature is just inhospitable for life. Still, this is a very great discovery. Never lose hope! Once, everyone thought that there could be no planet orbiting Barnard’s Star. But now, we have discovered it! Thanks to the scientists who decided to keep looking for it. Till now, NASA’s Kepler has been successful in discovering 3,837 exoplanet candidates. With more advancements in technology, the number exoplanet candidates is going to increase. Also, collaborations around the world will make it a lot easier. For instance, discovery of the Barnard’s Star b was the combined efforts of the Red Dots and CARMENES projects. Also, in this research, they needed HARPS and UVES spectographs of ESO. According to the researchers’ team, HARPS played a major role in this research. For this, researchers used combined data by the other teams as well as new data and measurements of Barnard’s star. At last, they combined all data and found a total of 771 measurements for the Barnard’s Star. Using combined data from other teams, new data and measurements by themselves, they were able to discover the new exoplanet. In the past, scientists like Van de Kamp didn’t have advanced technologies. But, now we have very powerful and advanced planet-hunting technologies. Multiple high-accuracy instruments from all over the world can be used and their measurements could be combined to discover the planet. 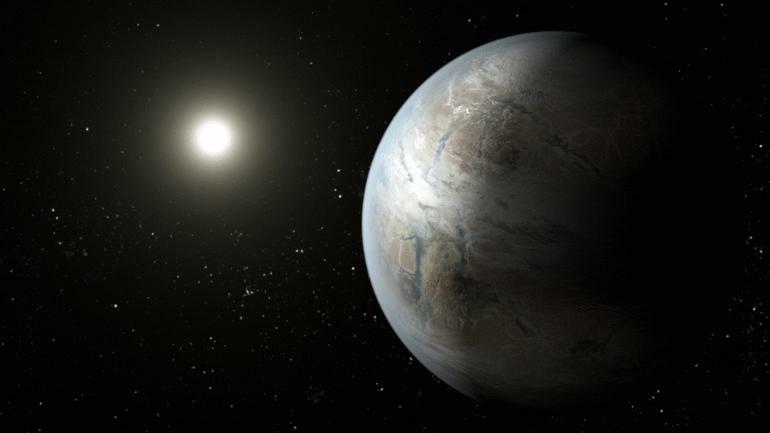 Let’s hope that upcoming work from the scientists finally finds evidences of life on exoplanets.